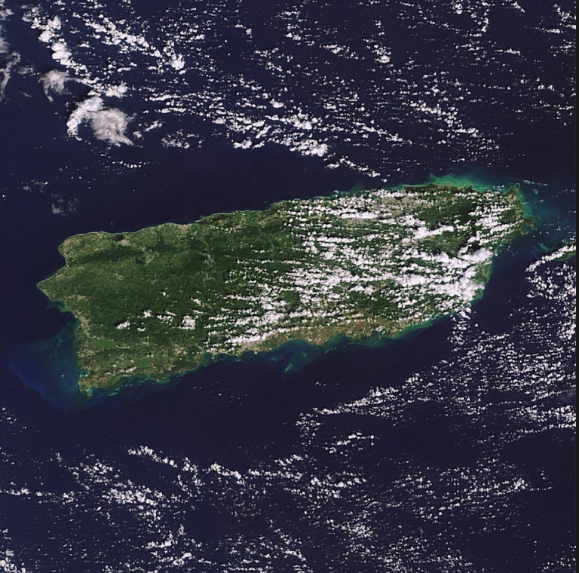 Puerto Rico is a large Caribbean island of roughly 3,500 square miles located in the West Indies. It’s the easternmost island of the Greater Antilles chain, which also includes Cuba, Jamaica, Haiti and the Dominican Republic. Puerto Rico’s Indigenous Taíno population called it Borinquén, and referred to themselves as Boricua (a term that is still used today). Source. Under Spanish rule, Puerto Rico began to produce cattle, sugar cane, coffee, and tobacco, which led to the importation of slaves from Africa. As a result, Puerto Rican bloodlines and culture evolved through a mixing of the Spanish, African, and Indigenous Taíno and Carib Indian races that shared the island. Today, many Puerto Rican towns retain their Taíno names, such as Utuado, Mayagüez, and Caguas. Read more here. McKinley’s designs for a global empire and his skill at bending entire nations of people to US desires was manifested by the seizure of Puerto Rico from its Indigenous population and others after Spain ceded this and other territories to the US in 1898 via the Treaty of Paris. The irony is that Spain had recently acknowledged sovereignty of the Indigenous population and was working to redress some of its crimes through the 1897 Carta de Autonomía (Charter of Autonomy) which ended 400 years of total Spanish Colonial rule. Source. McKinley’s power grab and destruction of the existing ways of life rendered null and void the promise of the island’s own legislature, constitution, tariffs, monetary system, treasury, judiciary, shipping industry, international trading rights and coastal control. McKinley viewed Puerto Rico as a profitable site for tropical agriculture, with an additional purpose of providing a secure coaling station for US warships. This would guarantee a strong U.S. naval presence in the Caribbean and create a stepping stone toward the Isthmus of Panama, where the transoceanic canal would be started in 1904. Source. McKinley’s invading US general issued a decree about the intent of the US: “To the Inhabitants of Porto Rico in the cause of liberty, justice, and humanity .. to bring you protection .. to promote your prosperity, and to bestow upon you the immunities and blessings of the liberal institutions of our government.” Source. To that end, the US set about denying basic rights to the people of Puerto Rico. English and Puerto Rican Spanish were made the official languages but English was the only language allowed in schools, resulting in a large number of US teachers being imported to do the job. Those few Puerto Rican teachers deemed “proficient enough” to teach in English were paid lower wages than their American counterparts. Source. Spanish would not be allowed in schools until 1949. The effort to displace Puerto Rican Spanish from the culture during the first half of the 20th century has been unsuccessful, with approximately 20% of Puerto Ricans considered bilingual. Source. During McKinley’s second term, he was gratified by the Supreme Court’s decision confirming the administration’s limited application of the Constitution to these insular possessions. The constitution did not necessarily follow the flag and to this day, despite tectonic shifts in human rights conceptions the foundation of this law still exists in Puerto Rico and other US territories, greatly limiting their civil and human rights. Source. Source. McKinley appointed the first military governor with the intent to “Americanize” Puerto Rican institutions, language and political habits while leveraging the power of the US to transform the island’s economy into a source of profit. By 1899, the course McKinley had set for the island was well underway. Source. In 1900, the Foraker Act created a civilian government led not by Puerto Ricans but by North Americans. Source. Above video: Nelson Denis the author of ‘War Against All Puerto Ricans,’ details how the island’s 119-year-long occupation by the U.S. has produced total economic and governing dependence. After US invasion, the island experienced the most devastating hurricane of the 19th century causing significant economic losses to Puerto Ricans. Soon after, in 1900, the US strategically devalued the Puerto Rican currency by 40%. This means all Puerto Rican people lost 40% of their net worth. The following year the US passed the Hollander Act creating a system of steeply graduated property taxes that had never before existed. Unable to pay these imposed taxes, struggling farmers sought aid from the only bank that could help them: The American Colonial Bank. With no usury laws, the bank was free to charge exorbitant rates which, by design, resulted not in debt repaid but in a seizure of the land the farmers had put up for collateral. By 1930 land under cultivation had expanded sevenfold and 80% of the arable land was now owned by US corporations, with half of this owned by merely four of them. Large numbers of formerly independent farmers were displaced and this new focus on large-scale production greatly sharpened social and political tensions as wealth became concentrated in the hands of the few. The island’s previously self-sustaining diversified agriculture had been transformed into, essentially, a US-serving mono-crop. The island was forced to import much of its food. Next up was the Foraker Act of 1917. This did not just bestow US citizenship upon the residents of Puerto Rico, it bestowed upon the US the right to draft the men of the island for use in World War I. About 236,000 Puerto Ricans registered for the draft for World War I, and close to 20,000 served. Source. The next phase of US control was to create the Jones Act of 1920. Forced now to import their goods, this act controlled the pricing and origin (U.S. only) of imported goods. From the outset, this inflated shipping costs which were passed down to Puerto Ricans and introduced a long-term and severe hindrance to self-sufficiency. Looking at present-day Puerto Rico, imported goods cost 15-20% more and in conjunction with a variety of other factors, these current annual “mark-ups” cost Puerto Rican consumers $537 million per year. Since its inception, the control afforded the Merchant Marines through the Jones Act has cost Puerto Rico more than it’s current debt of approximately 75 billion dollars. Source. Proponents of repealing this act are numerous and the matter has been studied by economists and academics. The Jones Act has been described as a “shakedown” that deprives Puerto Rico control over its own coast, maritime activity and trade relations. Its repeal would generate an island-based shipping industry: building, operation, maintenance, and ownership would provide opportunities for many skilled laborers such as carpenters, electricians, welders, electrical engineers and seamen. It would also create thousands of small businesses: metal, wood and hardware suppliers; storage facilities; shipyard building and maintenance; even restaurants and food stands to feed these 50,000 new workers. In addition, the Jones Act repeal would end a system of price support for US products, which affects every Puerto Rican consumer. Puerto Rico is the fourth largest market in the world for US products. 85% of all products consumed in Puerto Rico come from the US. 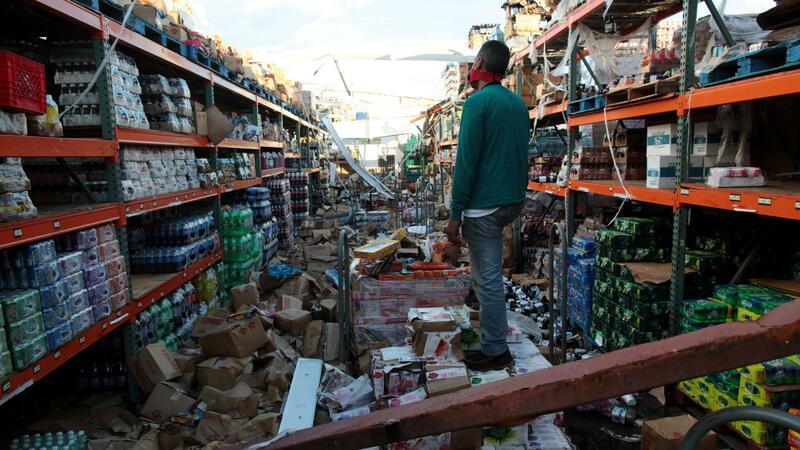 There are more Walmarts per square mile in Puerto Rico, than anywhere else in the US. There are more Walgreens per square mile, than anywhere in the world. Source. The exacerbation of quality-of-life issues caused by the Jones Act is onerous. Poverty rates were recently double that of Mississippi at 44.9% and have estimated to have climbed to 52.3% since Hurricane Maria hit the island on September 20, 2017. Unemployment for Puerto Rican is around 10% compared to the US rate of 3.9%. All of this while earning a remarkably low per capita income of about $19,000 per year, half the US average. Eventually, by 1925, US-introduced efficiencies in farming had effectively dispensed with the wide-spread need to continue employing those dispossessed of their land. From 1899 to 1929 unemployment climbed from 17 percent to 36 percent and one-fourth to one-third of the rest of the population was unemployed most of the year. Source. The long game of US sugar interests led to 70% of the Puerto Rican population having no land whatsoever and 2% of the population owning 80% of the land. That the population increased from 950,000 in 1899 to more than 1,540,000 in 1930 greatly compounded the consequences initiated by McKinley. Prices for food skyrocketed as domestic products were replaced with U.S. imports. By 1930 Puerto Ricans used 94 percent of their income to buy food. The Great Depression compounded these events. The material for this section comes mainly from the book pictured to the left. Naturally, the conditions heretofore described ensured Puerto Rico’s rich history of resistance lived on. In 1935 Pedro Albizu Campos, the first Puerto Rican to graduate from Harvard and one of the most notable resistance leaders led an island-wide agricultural strike which led to the doubling of wages. This brought the malevolent eye of the US government fully upon the growing revolution. Fearing a loss of control, the US militarized the island, with officers undergoing Tommy gun training and being outfitted with submachine guns, tear gas, riot gear and high-powered rifles. The governor was replaced with a US general and a former U.S. Army Colonel named Elisha Francis Riggs was made Chief of Police. On October 24, 1935, the governor sent his militarized police force to raid a student rally and they killed four people, including the treasurer of the Nationalist Party – all in broad daylight, in front of witnesses. It became known as the Rio Piedras Massacre. These policemen and the FBI started following Albizu Campos all over the island. They watched his home, intercepted his mail, interrogated his neighbors, and arrested members of his Nationalist Party. Albizu even began to receive death threats. Shots were fired into his home. Ultimately he would be arrested in 1936 for conspiracy to overthrow the US government. They day of his conviction, the building and surrounding streets were overrun with FBI and military personnel both uniformed and undercover. There would be second massacre about one year later. The Ponce massacre took place on Palm Sunday March 21, 1937 when a peaceful civilian march turned into a police shooting in which 19 civilians and two policemen were killed (by shots fired from other police). More than 200 others wounded. Most of the dead were reportedly shot in their backs. The march was legal and had all the necessary approvals. It was Police Chief Riggs who instructed his men to surround the event. Later inquiries concluded the entire event was precipitated by the police themselves, with responsibility falling on Chief Riggs. The march had been organized in part to protest the arrest of Albizu in 1936. It should be said that Albizu lived another 29 years, 25 of those were spent in prison. During those brief moments of freedom, he continued to rally Puerto Ricans against the US. When in prison he experienced torture and was subjected to radiation that ultimately led to his partial paralysis and inability to speak. He died on April 21, 1965. Dr. Orlando Damuy, a world-renowned radiologist and president of the Cuban Cancer Association, conclusively found that Albizu has been subjected to TBI (Total Body Irradiation) in prison. Additional information surfaced that other inmates had also been irradiated. As a further tool of oppression against the growing revolution, the US passed La Ley de la Mordaza (Law of the Muzzle) in 1948. It was a gag law. There was to be no singing of patriotic tunes and no Puerto Rican flags. All speech, text, and images against the U.S. government or in favor of Puerto Rican independence were forbidden. It also forbade any assembly of people in open or private on behalf of independence. Police and FBI had full authority to stop anyone on the street and invade any Puerto Rican home, particularly Nationalist homes. Anyone found guilty of disobeying the law could be sentenced to ten years imprisonment, a fine of $10,000 dollars, or both. 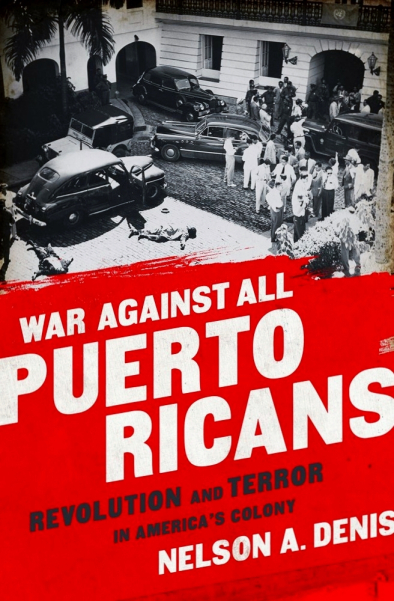 A year after the arrest of Albizu in 1936, the US and Puerto Rico enacted Law 116, the last eugenics sterilization law passed under United States territorial jurisdiction. It was not repealed until 1960. By 1976, the U.S Department of Health, Education, and Welfare reported that over 37% of women of childbearing age in Puerto Rico had been sterilized, the highest number in the world. The vast majority were in their twenties. As they had elsewhere, US eugenicists seized on the resulting poverty caused by the US, blaming overpopulation, and targeting poor women for sterilization and pharmaceutical experimentation. Contrary to belief, the underlying causes of poverty in Puerto Rico were not overpopulation or scarcity of arable land, but rather the poor organization of social and economic power. This was made more evident when, during the early 20th century, unemployment and poverty rates increased while the economy grew and birth rates fell. The potential benefits of this growing economy continued to be diverted to the very few who possessed the vast majority of wealth. Source. In the 1950s, Dr. Gamble and others began medical experimentation that would otherwise be forbidden in the US mainland by testing progesterone on women in Puerto Rico. Gamble expanded the distribution of oral progesterone, even accepting donations from pharmaceutical companies who bid for access to the women in his clinics. Visiting nurses and social workers were dispatched to housing projects in San Juan and to rural areas. The drug, in smaller doses, would later come to be known simply as “The Pill,” then caused nausea, dizziness, and headaches which were dismissed by researchers as psychological or blamed on Puerto Rican women themselves who were constructed as lacking the intellectual sophistication to follow directions. Deaths caused by this experimentation were not a deterrent to the program. Source. More than 60 percent of Puerto Ricans are on Medicare or Medicaid and it is the top territory or state in terms of numbers enrolled in Medicaid. It has incredibly high rates of diabetes and asthma while also facing a severe shortage of nurses and specialists: thousands have left to seek jobs on the US mainland where reimbursement rates are upward of 60% more. While citizens of the territory pay their fair share of Medicare and Social Security taxes, congress capped federal Medicaid reimbursement to U.S. territories in 1968. Whereas similarly-populated Oklahoma and Mississippi receive $3 billion and $3.6 billion respectively in such reimbursements, Puerto Rico receives just $373 million annually for Medicaid. The island pays the remaining $2.5 billion and this has resulted in the accumulation of approximately $25 billion in debt. On average, 900,000 Puerto Rican’s face loss of health care due to tenuous funding. Source. Making landfall in Puerto Rico on September 20, 2017, Hurricane Maria and its aftermath would result in the death of nearly 3,000 people, far more than those killed by Hurricane Katrina. Trump would claim the Federal response was “an incredible success” source and falsely accused Democrats of artificially inflating the death toll just to make him look bad. Source. This article details the timeline of events involved in estimating the number of fatalities. The Taíno culture has survived despite the assault initiated on them by the Spanish, by McKinley and those who have followed after him. The Taíno have a contemporary vitality not just in Puerto Rico but all throughout the Carribean. Historically there were important trade, political and kinship relationships that connected Native communities across these islands. Today, Taíno has been embraced by many Caribbean people with Native ancestry as a term that unites their historical experiences and cultural identities before and after 1492. There are varied manifestations of those who affirm Taíno culture as their own. The Taíno resurgence movement can fundamentally describe large groupings of individuals, communities, and or organizations focused on the informal and formal affirmation of Taíno heritage in the context of the universal right to self-determination. In essence, the Taíno resurgence movement represents shared culture knowledge, attitudes, and perceptions operating as unifying forces within diverse communities of Indigenous consciousness. Its participants are organized in diverse groups, informed by different, though often overlapping, social agendas and ideologies. They network and exchange information at in-person events including powwows and spiritual retreats and through online platforms such as Facebook. Source. Source. US response to Hurricane Maria typifies US mainland apathy for this region.